Therapy appointments – right now we have 1.5 hours of therapy two times a week! Loud noises! My daughter will randomly make loud screeching, very hard to have a ‘phone-based’ job. Those reasons alone are the reasons why I am more attracted to income revenue streams that allow me to circumvent those challenges. Starting a blog is a one way you can work around your schedule and in your current environment. But what if you don’t have the blog, the know-how, or the energy to maintain all that is needed? Get paid to write for a living! We’re not talking about being an Author of a novel, but rather finding paying gigs for your articles. Can you pick a topic, do basic research and write something you’ve learned? Can you type? I’m not talking about single finger picking and letter hunting! Learning to type would be ideal to maximize profits by typing FAST! Do you like spending time sitting at a computer or laptop? Do you have lots of ideas just waiting to jump out onto a computer screen? Don’t have a blog or want to maintain them, but want to get paid to write? Already have a blog but want to maximize your talent for writing by adding an additional revenue stream? Make sure you have excellent typing skills. Need some practice? Visit http://typingagent.com/ and use their free demo. Search for job listings for paid writers. There are 36 types of writing and markets to get paid. Article Writing, Biography writing for others, business letters, business plans, blog forum monitors, creative writing, ebooks, editor, proofreader and more. You can do a simple Google search for this like “dog article submissions”. Or go to Elance.com , Freelancer.com . To get a full list of paid gigs to apply to without having to search multiple sites, check out Writer Help Wanted. Write persuasively. Depending on the type of market you are writing for, you’ll need to effectively write the content in a way that meets your client’s goal. For maximizing your income pick a market that allows for passive and recurring income options. Get paid to do the work just once. Writer Help Wanted teaches you how to evaluate each type of writing and provides you with all the ways to squeeze the most income out of this option over and over again. While you can do this all on your own, I highly recommend that if you are SERIOUS about making writing the way to earn an income from home as a special needs parent, then I suggest you get the Writer Help Wanted course. Guide to how to make money with your writing RIGHT NOW! All the types and direct sources on how to start getting paid immediately. Supplement your income, or just get started right away earning income. How to get longer term work. What is the point in getting paid for one article when your bills keep coming every day? Learn how to make this a sustainable income source for your family. Get paid while you sleep (well if you can sleep!). Learn how to tap into a writing market that will pay you for the work you’ve done once and keep getting repeat paychecks over and over! Hone your skills to improve your market demand and higher pay rate! Take your writing skills to the next level by learning advanced writing techniques. The Writer Help Wanted team has put all of this together for you in an affordable course. Complete with video lessons, actual case studies, and a complete job listings page to get started working ‘write’ away ( 🙂 sorry I could not resist!). Me personally, I purchased the course as a way to help supplement and maximize how I earn money with work I’m already doing (writing for this blog). If I’m already writing, might as well squeeze all the profit I can to reach my goals right? The Writer Help Wanted course is $47. Many job listings inside show payments from $15-$60 per article! You can easily earn that back with your first article or two! There is also a money back guarantee, so if you don’t like what you see, you can get a full refund! Are you already a writer? If so, what are some profitable ways or sites where you are earning an income through your writing? Drop me a comment below! Special family means we have an extra special life. Wife and mother to a husband with Huntington's disease and a child with Juvenile Huntington's disease. Living life everyday making the most of what we can. 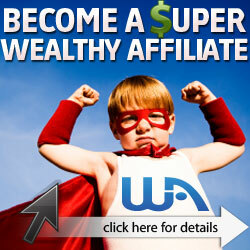 As a blogger, my way main way of making money is through affiliate marketing. Although taking gigs would allow you to earn more in a short period of time I prefer the affiliate marketing model since it allows you too create a passive income stream in the long run. I completely agree! Affiliate marketing is a great way to have a main source of income. However, I’m a fan of having my eggs in different baskets. Being able to write for your blog, is a marketable skill and you can take those skills and earn even more income by doing what you are already doing with your blog, writing, and increase your income. Also, writing articles from home, without the added maintenance of a blog, might be a great option for a special needs parent to have flexible options when needing to earn an income on their own time. Hi Deena, this is such a timeous article for me. I just applied for a freelance writing gig through a local website here in South Africa called recruitmymom (awesome website by the way, I’ve done work for them before. As their name suggests, they are a recruitment agency specialising in jobs for Mothers). I’ve been meaning to look into overseas paid writing gigs as well so that I can cover my Wealthy Affiliate payments. Can you let me know which of these suggested websites pay via Paypal? Hi Lauren! I’m glad that this came at the right time! The Writer Help Wanted job listings section pulls in both Featured jobs from large companies looking for ‘staff’ part-time and full-time writers. In those cases you would actually be part of their payroll. So you might want to look at the featured listings section and before you apply check to see if they can hire in South Africa. Guru also has a payment system, not PayPal but their own called SafePay. What is nice about how they set up their payment is that the payment is sent to Guru by the ’employer’ before you start the work. Once the work is approved by your client, the money is released. So you can focus on milestones and delivering the work, instead of collecting on non-paying clients! There are also listings for ProBlogger, Journanlism type work and more. The nice thing is, instead of searching each site on your own, The Writer Help Wanted website does the search for you so it’s all in one place. I hope you are able to find meaninful work! Thanks for the site recommend, I’ll have to check them out. Thanks for posting this article. I have been thinking about writing for others for a while now as supplementary income, so this opportunity looks perfect. I joined Writer Help Wanted and am going through the course now. The typing course also looks interesting, and I’ll be checking out the free demo when I have some time. Hi Ian! Great to hear that this is an option for you! I think having various options to maximize the work you are already doing in one area and monetize it another way is just plain smart! Since you are already writing for yourself, use that skill to write for others and get paid for it too! I hope you find it helpful and good luck in your additional income stream! These seem like great ideas to generate recurring revenue from home writing articles. With all the scams out there there are still a few legitimate money making opportunities online and your recommendations are the exact recommendations I would recommend and use. Great thoroughly written helpful article. Cheers and good luck! Great Cesario! Thanks for the comment! it is so good to know that in this day and time a person can make a full time living from the comfrot of their home and blogging has made that all possible. Many persons are getting involved with this type of business and happy doing it. I myslef never thought that I would ever be in this type of work but here I am. Thanks for sharing this wonderful infomation, all the best to you and have agood day. I like the sound of that get paid to write articles at home, and that is where blogging comes in the picture. Many persons that are out there search the internet every day seeking to find good information that is related to their needs and writing or blogging can get them that information and that is where a blogger comes into the picture. Thanks for sharing your article is awesome with great information. All the best to you and have a good day. The Special Needs Parents Income website and it's author is a participant in the Amazon Services LLC Associates Program, an affiliate advertising program designed to provide a means for sites to earn advertising fees by advertising and linking to www.Amazon.com. Thank you for your support!